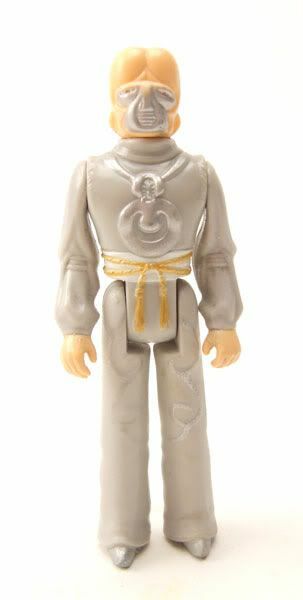 The Rundown: Mego filled out their 3&3/4" line with a few really cool alien figures like the Zaranite here. 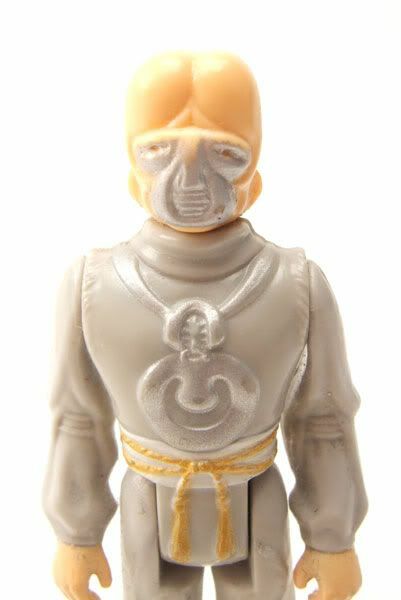 The Motion Picture had a ton of really cool aliens (even though you caught a glimpse at most of some of them) that were perfect candidates for figures, especially in light of the success Kenner had with producing figures of background aliens from Star Wars. The sculpting on the aliens was top notch, even better than the crew figures in my opinion (and superior to most of the alien figures produced up to that point in the Star Wars line). The head sculpt on the Zaranite is especially nice, and looks alot like the mask made for the movie. 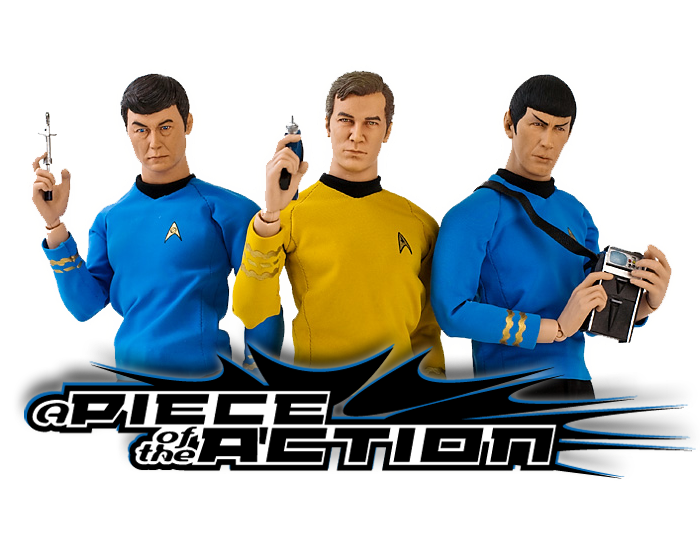 The little detailing on this is really well done for a 3&3/4" figure released back in 1980! The folds in the shirt, the texture of the belt, the weird chest thingy...all are well done. And the detailing on his pants isn't just painted on, it's sculpted on there! I really dig this figure, and for that matter all the aliens in the 3&3/4" line. It's a shame that they were (and still are) so hard to come by. I'd have loved to have had such cool alien figures as a kid... 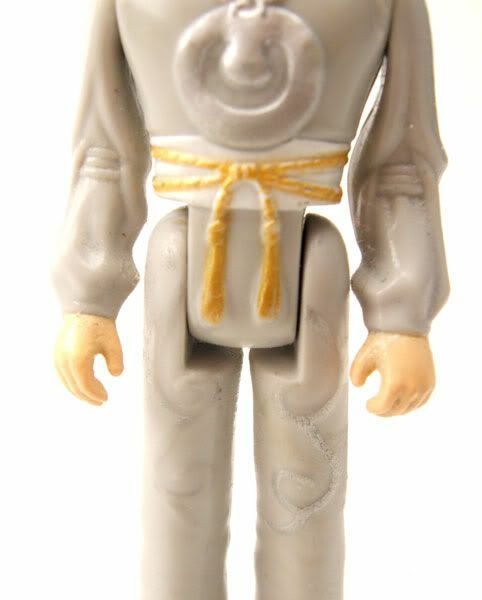 The Star Wars aliens were okay, but if you put this figure next to say, a vintage Greedo? Yeah, the Zaranite would definitely be what I spent my $3 on. Cool pics, James, as always! 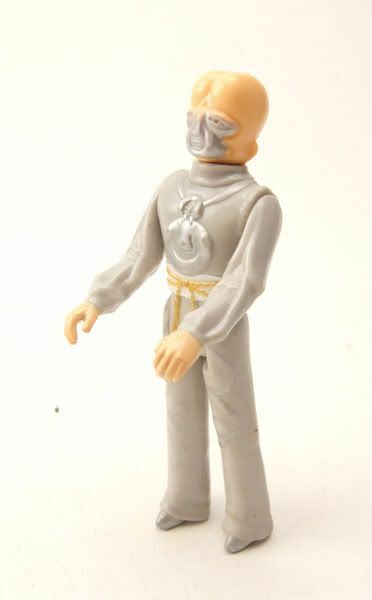 My eBay-find Mego Zaranite's silver and gold trim was quite worn - by its previous owner(s) - but I decided to paint his breathing mask's eye slits. It really improves the face. 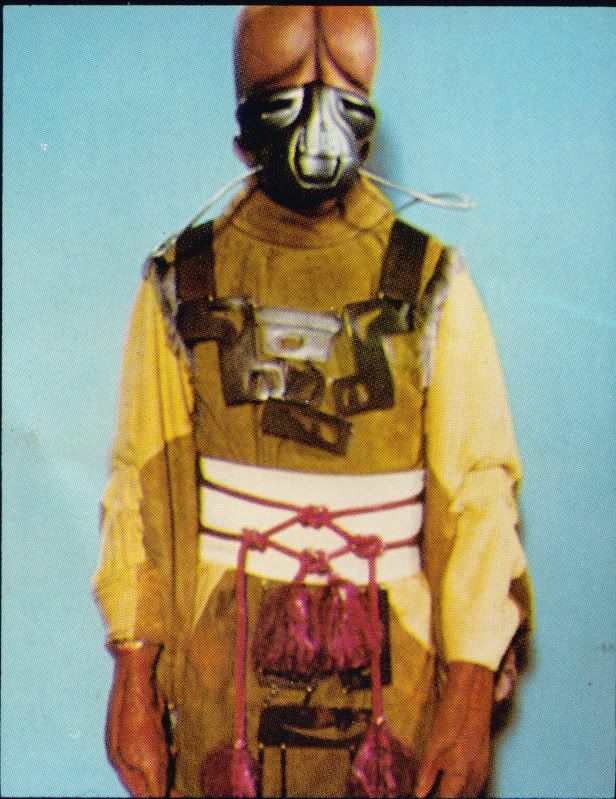 The hoses, so essential for an alien which breathes fluorine gas, were never a part of the original sculpt but I made these from pieces of thin faux-leather cord from a craft shop and superglued the ends from the mask to the backpack/tank. Scroll down after clicking HERE!